The information Technology industry is connecting to grow at a healthy rate as business are heavily dependent in IT application for their operation. More and more enterprises are utilizing IT outsourcing as a strategic means to achieve business goal such as cost reduction, business innovation and competitive advantage. India has become the hub of IT services export and has witnessed exponential growth of employment opportunities. IT services majors have noticed certain skill in the fresh recruits from the engg. colleges, while serving their customers. The need for our industry-academic partnership is being strongly felt in order to enhance the readiness of fresh engg. graduate workforce and make engg. students ‘Industry-Ready’. 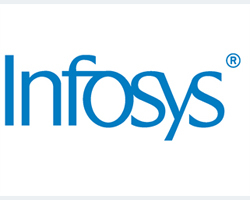 Infosys, in this Campus Connect Program, is therefore, sharing with the academic its mature technology training methods, courseware, student project samples and other such learning resources that have been developed, practiced and perfected over the last 15 years. The Campus Connect Program has several program components weaved together to create synergy for effective, fast-paced learning. Some of them are-Conclave, road Show, Faculty Enablement Program (FEP), Industrial visits, Sabbaticals, Foundation Program Capsule Roll-Out, Sponsored Event and Seminars. 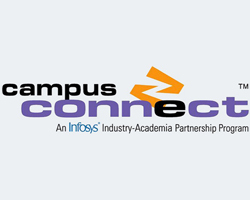 Infosys, in this Campus Connect Program, is therefore, sharing with academia its mature technology training methods, courseware, student project samples and other such learning resources that have been developed, practiced and perfected over the last 15 year. The Campus Connect Program has several program components weave together to create synergy for effective, fast-paced learning. Some of them are-Conclave, Road Show, Faculty Enablement Program (FEP), Industrial visits, Sabbaticals, Foundation Program Capsule Roll-Out, Sponsored Events and Seminars.